Today's teachers have embraced technology in and outside the classroom. The internet, phones and social media are a huge component of how teachers are trying to hone their skills and get the most out of their lessons. 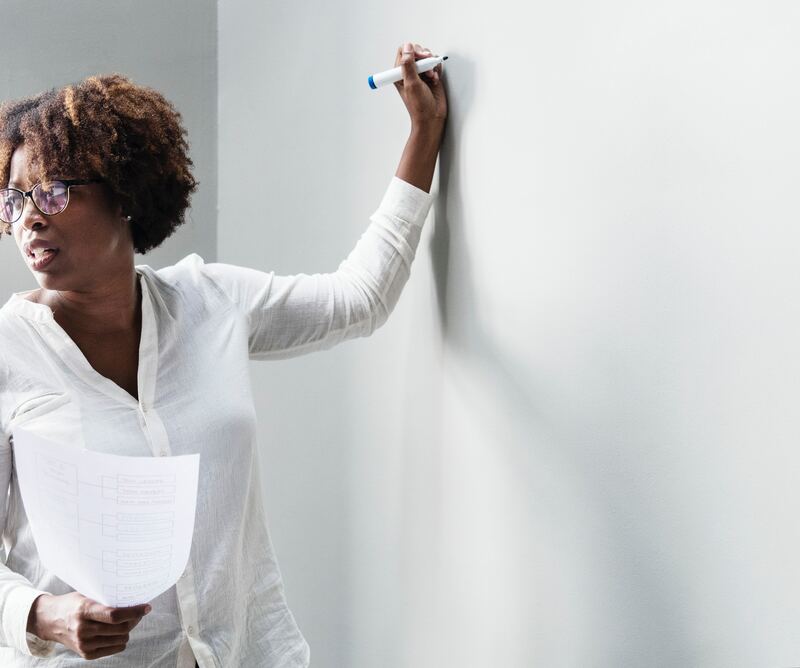 Here we take a look at some of the top tools used by teachers to develop their teaching methods and improve learning outcomes. It may surprise you but Twitter is hugely popular among teachers worldwide. Teachers use Twitter as a way to share lesson plans, notes and follow trending issues related to their subject. Educational streams like #Edchat are some of the topics teachers use on Twitter to access methods of developing their skills. 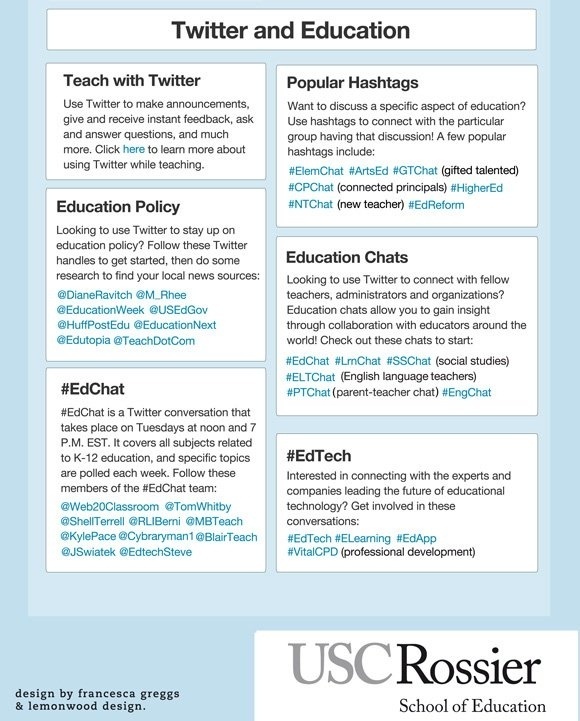 Other chats include #Edtech, #ElemChat, #EngChat, #HigherEd. Chats are available for a whole range of teaching subjects, levels and learning institutions. Check out the graphic below by USC Rossier. Pintrest is a great destination to source ideas for teaching aids, crafts, activities and lesson plans. By tapping into the sensory cognition of students the potential for retaining information is greatly enhanced, and so sites like Pinterest become an unlikely tool to help students. For example, a history lesson with images of monuments made in a particular periods of time can be shown to students with details of the architecture and design, and a geography lesson could give students various topography maps and other images to help them understand a particular place or area. Learning suddenly becomes interactive and fun. Teachers can also source crafting ideas to make learning more exciting for students, which is especially important in early education. The vast catalog of users and topics means there's no shortage of ideas, sources, and inspiration to draw from making Pinterest a perfect tool. 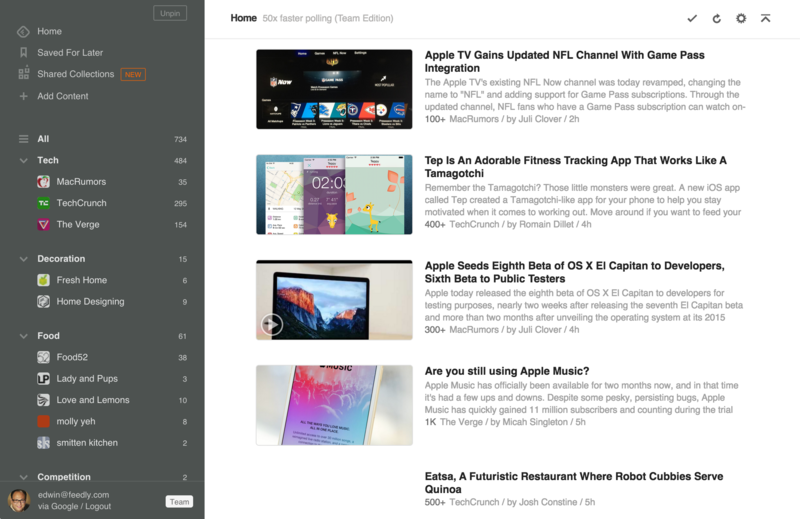 Feedly is a Rich Site Summary (RSS) web feeder, which can filter and promote content on the Internet based on your interests. From blogs, YouTube videos, journal articles and news sites, any type of content relating to a certain content can be collected onto Feedly's homepage. This can be used to source information for lesson plans and act as a sharing platform for students. Edmodo is a communication sharing platform which connects students, teachers and parents. Valuing communication and efficiency, Edmodo allows a safe space where students can interact with their teacher directly. For the teacher, features like a grade book, assessment schedule and quiz generators gives the teacher a greater set of tools for bringing the classroom into the modern age. Google Hangout is like a virtual meeting, bringing together teachers, students and peers in the same place in real-time. If you have a Google+ account you can share live audio or video calls with other connected users with an Internet connection. This means that live audio and video, as well as documents and screenshots, can be shared anywhere in the world. Teachers can instruct students from outside the classroom, send notes or oversee substitutes in real-time, allowing for greater oversight without being physically present. When Visible Classroom was trialed in the UK, many teachers (though skeptical at first) found that reviewing their practice took out the guesswork element of teaching. The trial highlighted the effectiveness of viewing learning through the eyes of students. You can contact Visible Classroom here. © 2017 Inbound. All rights reserved. Theme by InboundMantra.